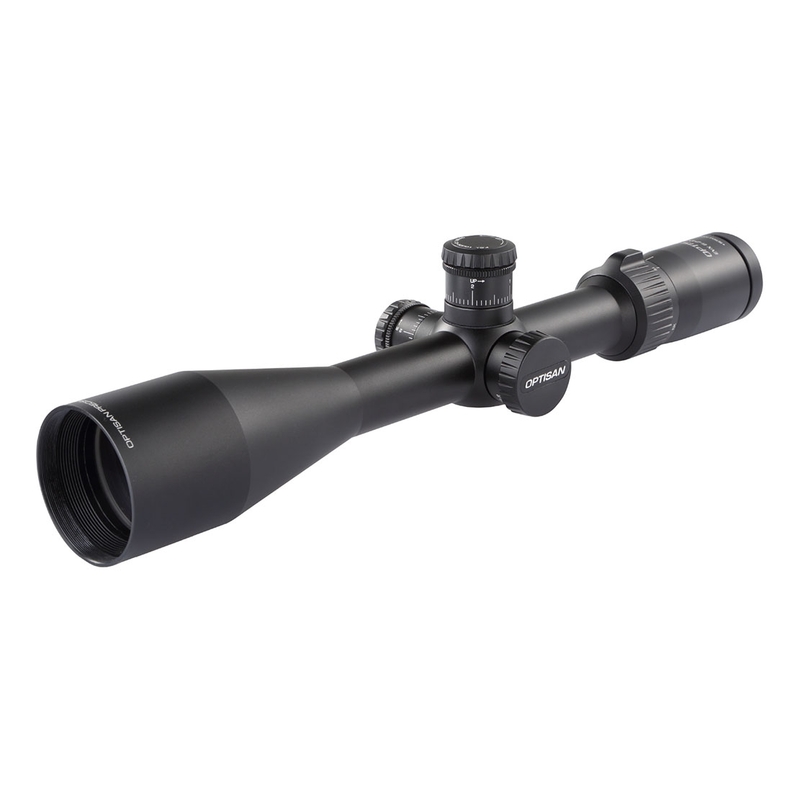 Optisan EVX 6-24x50 F1 IR Rifle Scope. A range of scopes offering great versatility with the important features you expect in a rifle scope, but refined and updated. The EVX line is reengineered to top the generation I flagship Viper line first introduced back in 2006. The new Optisan EVX Line is designed and engineered for sub-MOA precision shooting and hunting and is field tested holds up to .308 and .300WM. The GEN II redesigned optical system has a 25% larger field of view with generous eyebox which shooters will find it handy encountering quick target acquisition. The eye relief is from 3.7 inches and is consistent throughout the magnification range so the head position stays steady. Optisan is now offering EVX range in both first and second focal plane. All EVX scopes now comes in mil/mil matching turret / reticle and a redesigned mil-hash reticle for long range holdover as well!